Underneath the tracing paper (which diffuses the LEDs) is an ATTiny84 microcontroller, some 1206 LEDs and a whole lotta copper tape cut up into traces. 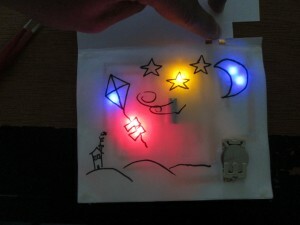 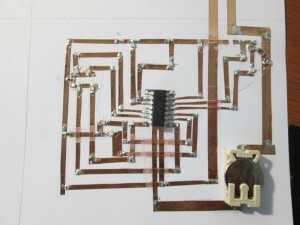 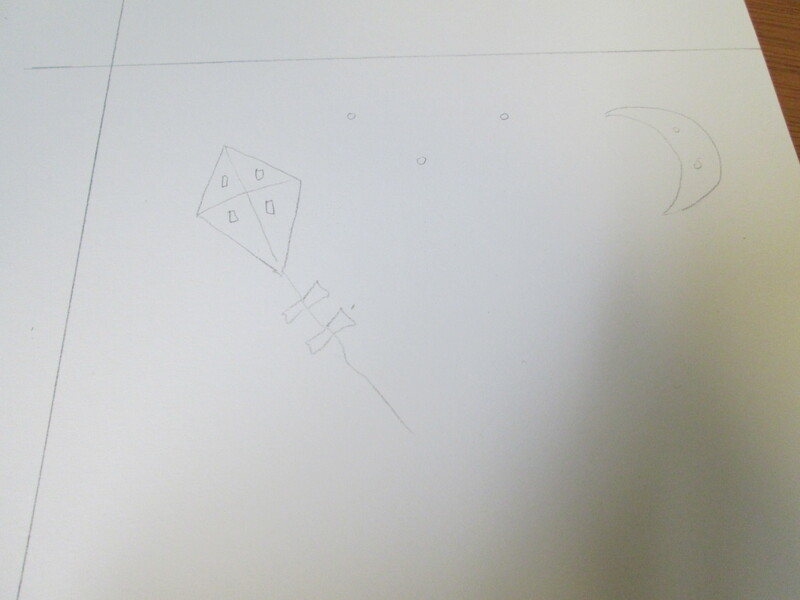 The kite has 4 LEDs which fade on and off using the ATTiny’s PWM channels. 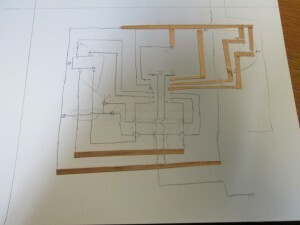 The traces were drawn out with a pencil before putting on the copper tape.